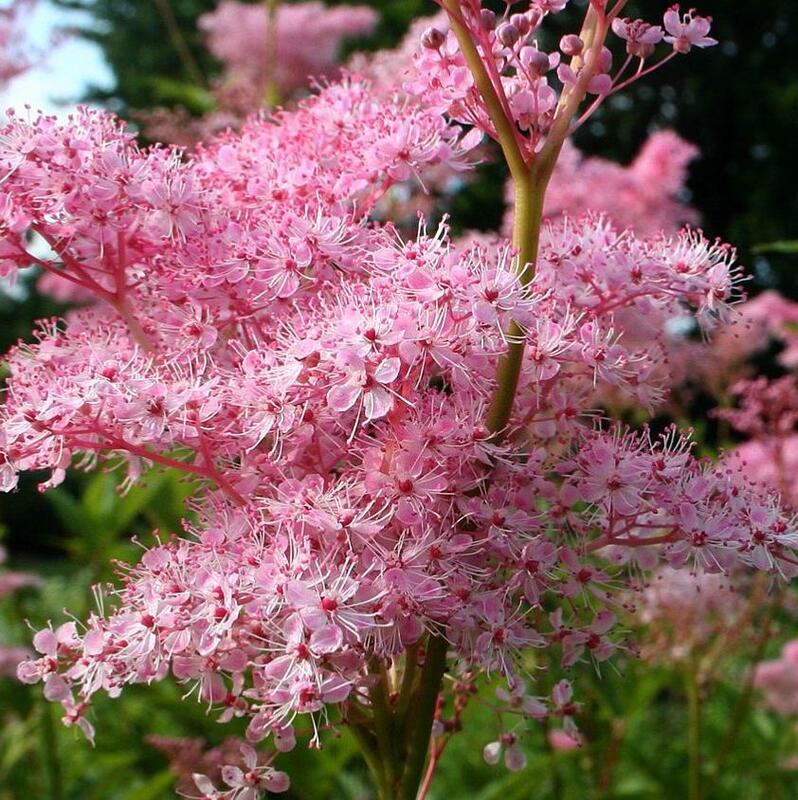 Filipendula rubra, is closely related to our aspirin-producing wildflower Meadowsweet, or Filipendula ulmaria that delights in ditches and water meadows. They do things bigger in America and their form of Meadowsweet, known as the 'Queen of the Prairies', is a whopper. The pink version, Filipendula rubra 'Venusta' is a noble plant that looks exotic in a midsummer border and carries on looking good throughout July. Filipendula rubra ‘Venusta’ was the sort of plant that used to appear only in grand gardens among Rhododendrons, or in large water gardens, but more recently it has become fashionable in the more modern prairie style or naturalistic planting design especially espoused by the Dutch garden designer Piet Oudolf. Large plants such as ' Filipendula rubra ‘Venusta’ and the huge Thalictrum rochebruneanum that never need staking are always popular subjects with this sort of scheme. 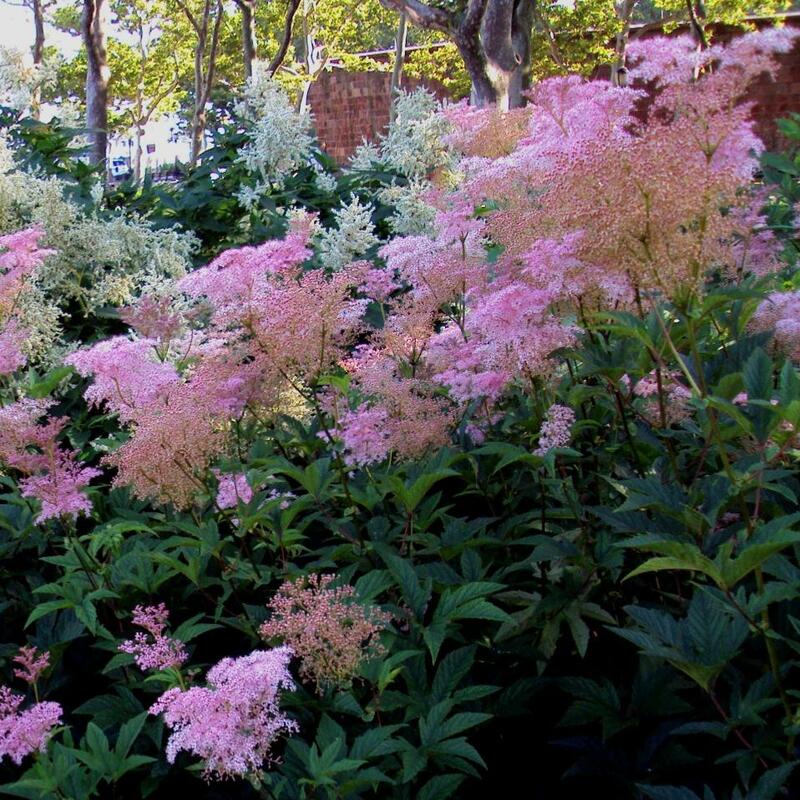 Filipendula's wrinkled vine like leaves are very handsome and the candy floss plumes provide the vertical accents that are such a help to any planting scheme. Filipendulas generally like damp fertile soils but Filipendula rubra ‘Venusta’ seems to flourish in any normal border that has reasonably good soil. Its plumes will grow to a good1.8m (6ft).